lement à ceux qui désirent des places supplémentairessagers. 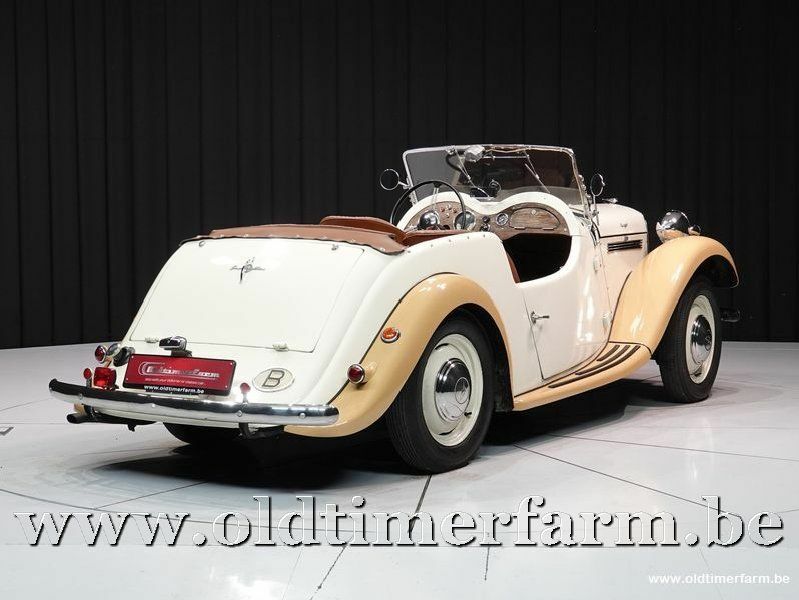 Beautiful and very rare Singer cabriolet with 5 places, delivered in Belgium. Last two owners are personal customers of Oldtimerfarm and in recent years the car has been regularly serviced by us. 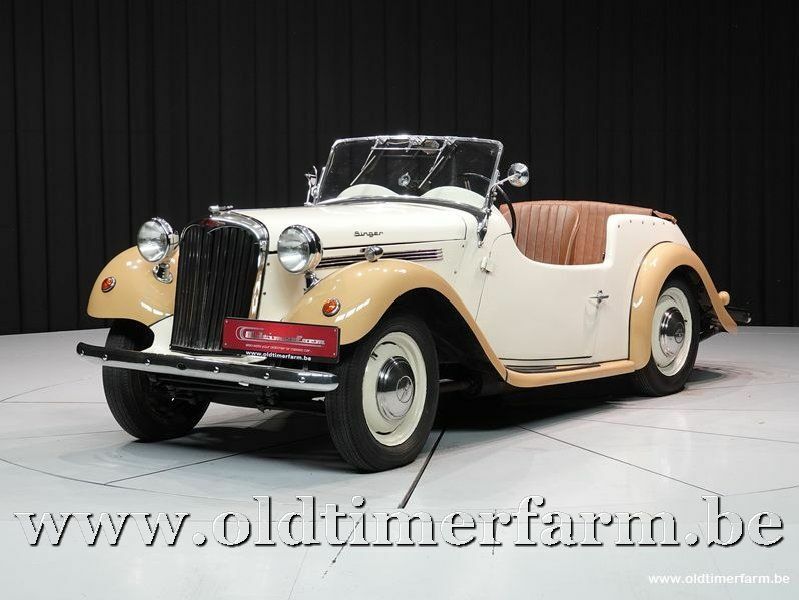 A nice alternative to the popular MG TD for someone who wants more space or a back seat for extra passengers. The company was established by George Singer (1847-1908) in Coventry to make bicycles in 1875. The company began manufacturing motorised three-wheelers in 1901, followed by motorwheels which were fitted to bicycles. 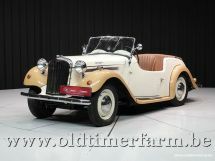 By October 1950 the further improved 4AB Roadster appeared. While superficially similar, this has an independent front suspension by coil springs and a hybrid, "hydro-mechanical" brake system by Girling. Externally, there is a shortened bonnet and disc wheels, as well as fixed sides to the bonnet. The fenders were also redesigned, becoming curvier and deeper. The steering box also received alterations, mainly aimed at centering it in the chassis so as to simplify manufacturing alternately right-hand or left-hand driven examples. The 4AB continued in production alongside the larger 4AD until January 1953.